The industrial crisis rocking the Abuja Investment Company Limited, (AICL), yesterday, took a dangerous dimension as some top staff of the company have threatened to drag both the Interim Management Team (IMT) and the newly reconstituted board members before the National Assembly and some anti-corruption agencies to right the wrongs in the company. Specifically, the staff said they will no longer fold their arms and watch the execution of what they described as a “conspiracy theory” of the IMT to rubbish some top management staff with the sole aim of perpetuate themselves in office. They added that IMT has gone beyond its mandate. The FCT Administration had in a letter dated August 29, 2017, and signed by the Director of Human Resource Management, Mrs. Amina Abubakar, stated that “the assignment of IMT is ad-hoc in nature meant to serve as a stop gap arrangement in view of the Economic and Financial Crimes Commission’s (EFCC) investigation of the management team of the company and absence of a Board of Directors. “The assignment was not meant to be permanent and indeed the Interim Management Team is not a replacement of the management of the company and certainly there was not an intention for the Interim Management Team to earn remuneration equivalent to what is being earned by the management of AICL or its staff,” one the aggrieved staff said. However, some top management staff of the company have come up with fresh and weighty allegations against the Interim Management Team and some board members of the company barely 72 hours after a showdown between the IMT and some staff over alleged planned mass sack of 80 per cent of the company’s personnel. They alleged that the IMT is doing everything possible including outright blackmail of personnel, intimidation and juicy offers to induce board members in order to perpetuate themselves in office. In a petition sent to National Assembly and some anti-corruption agencies and obtained by our correspondent, they alleged that the Head of the Interim Management Team, Dr. Isyaku Bashir, has recommended the immediate sack of all management staff including those recalled and those still on compulsory leave. 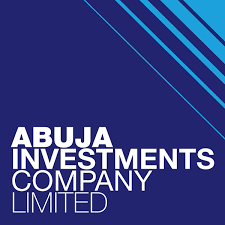 The petition further alleged that the IMT head has also recommended the sack of the Chief Executives of the subsidiaries, just as he promised some board members the juicy position of Executive Directors of Abuja Investment Company Limited if the plan is successfully executed. “He has set up a Strategic Committee to ensure that the Interim Management Team are brought as confirmed management. It is instructive to note that the Board has given anticipatory approval,” the petition alleged. The petition revealed that the head of the IMT has resorted to intimidation to execute his game plan, stressing that he (Bashir) has called the police to arrest one of the board members he perceive is not cooperating with him because he stood against his plans.